Not having had any seriously interesting or ‘out of the ordinary’ shouts for a couple of weeks, I thought I’d write about a routine job that I recently attended. We were on station when we received a radio transmission from our dispatching instructing us to respond to a Priority 2 backup request for a Rapid Response Vehicle (RRV) Paramedic on scene with an elderly lady who had fallen. P1 – This is for a truly life threatening event. For example, a patient who has stopped breathing, having a stroke, heart attack or is so unwell that they will soon stop breathing. It’s also to be used for life threatening injuries, for example a traumatic amputation with catastrophic haemorrhage or a fall from a hight with massive head trauma. The reason this is only to be used for these types of events, is because no crew will be diverted from this priority backup to another call. We would, in theory, drive past an unconscious patient to arrive at a call this highly prioritised. Respond using blue lights and sirens, of course. P2 – Not immediately life threatening, but could become so if the patient does not arrive in hospital soon. This could be used for chest pain with no ECG changes, pain that cannot easily be managed with morphine, broken limbs with deformity but no circulatory compromise or non-life threatening incidents where a patient is outside or in the public eye. Also respond using lights and sirens. P3 – Non-life threatening cases where the patient needs admission to hospital urgently, but not immediately. 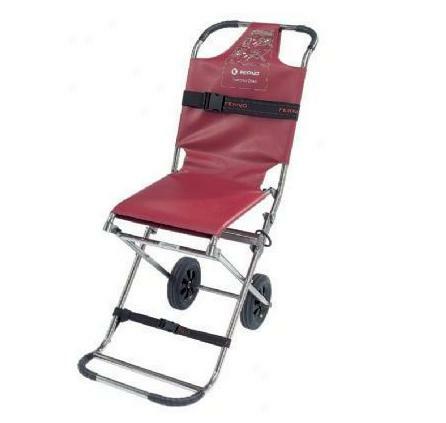 This could also be used for stable limb fractures, falls where the patient is un-injured but is too heavy to lift with one person and they need assistance from the crew, or abdominal pain with no ‘red flags’. Respond at normal road speed with no lights or sirens. P4 – Routine admission for a medical case. This is the only priority where an RRV would arrive, assess the patient, request backup and then leave the patient in their house to wait for the crew. The patient must be safe, able to walk or have someone to assist them to walk and not be likely to deteriorate. This is also normal road speed with no lights or sirens. So, P2 backup to the city for a fall. That’s the only information we ever get. So, blue lights and sirens on and off we roll. We arrive to find the RRV Paramedic at the top of the stairs with a fairly large lady who had fallen while walking out of the bathroom. She was sat on a small landing holding on to the hand rail, sat on one leg. As we arrived, he was giving her a drug to stop her being sick. He gave a quick history of the event, and told us he suspected a broken hip. So, we worked on a plan to get her up. We would give her some Morphine for the inevitable pain when moving her then lift her onto a carry chair to carry her down the stairs. We dosed her up and got ready to move. As I mentioned, she was quite large. And heavy. And old ladies have a lot of soft tissue and not a lot of muscle, meaning she had little strength and we had nothing to really get a hold of. She was sat on a small square landing, I was stood behind her in the bathroom, my crew mate was in front of her on the stairs, 2 or 3 steps down, and the RRV was to her side on the landing. “On lift? Ready, set, LIFT….hmmmph, arrrrgh, heeeaaaa, oooommph. Lower, lower, LOWER!” Came the cries from all three of us in synch. Plan a) had failed. If anything, we had moved her nearer to the edge of the stairs and we were all now in a rather precarious position. I had the idea of using a special inflatable cushion called a Mangar Elk, to raise her to the hight of our carry chair that was with me in the Bathroom, then slide her backwards onto it. Like this, but nobody is ever that smiley. We had encountered a small problem though; after moving her to her new position, we noted the leg she was sat on was grossly swollen at the mid-shaft femur. We had a new diagnosis of a broken leg with a possible hip fracture as well. This meant that one of us would have to manually stabilise the leg before we moved her again. So, we slid the cushion under her bum (no mean feat, let me tell you!) then began to inflate it. As we did so, she slid further towards the stairs!!! Between the three of us (two of us really as my crew mate held her leg straight), we somehow slid her onto the carry chair. All three of us took the opportunity to stretch our aching backs before we carried her down the stairs. So narrow were the stairs that only two of us could use our chair. So, we heaved and struggled with our lady, all the while, not letting the strain show on our faces so as not to worry the patient or her family – though the red faces and beads of sweat probably gave it away. In the end, we carried her down the stairs, down the other stairs out the front door and wheeled her to the ambulance. Then one final lift onto the stretcher and that was that. Hot, sweaty and aching we had done the job. Thanks to the Morphine the patient had hardly felt a thing. We gave her a little more pain relief before the bumpy drive to hospital and set off to A&E. Handover to the A&E Nurse, slide patient to hospital bed, clean stretcher and replace linen, clean all reusable equipment, make a list of kit used to replace, wash hands, make cup of tea and make yourself available for another emergency – all in 15 minutes to keep the government happy. That is a typical job. Heavy lifting, frequent patient reassessment, quick thinking and a well earned brew.